The aim of our 4 staged junior program is to introduce the game of golf in a fun and exciting way and hopefully create a golf fan for life. The different stages of the program let the juniors progress at their own pace and development from beginner through to playing in our members club competitions. From there they can take the game as far as they like where they can compete in district, state and national junior competitions. 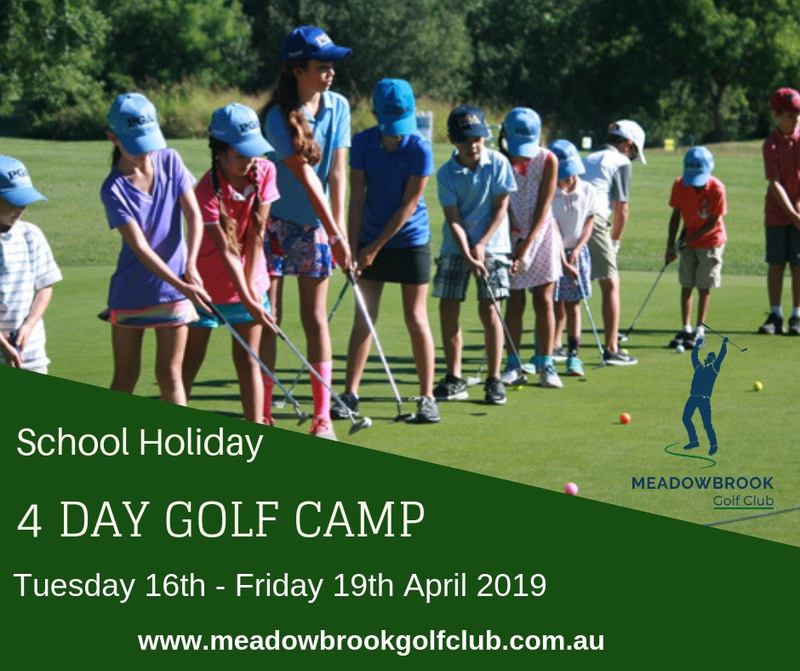 Delivered by PGA Teaching Professionals, your child will receive all the fundamentals and etiquette required to enjoy the game of golf – One to one lessons are also available in 30 minute or 60 minute lessons. Please ask your coach for details. Played over 5 weeks in Term 4 of 2019 on Sundays (Dates to be announced and starts in October). In Summary the juniors aged 12 and under represent Meadowbrook and play against other surrounding clubs. A parent is a caddie for their child and 2 juniors team up choosing the best ball on each shot until the hole is complete. The match is scored over 9 holes in a match play format.